What degree(s) are you earning? What do you plan on doing after graduation? I am majoring in Organizational Management and earning a Bachelor of Science degree in Business Administration. After graduation, I plan on working as an event coordinator/planner. For now, I will be staying in Charlotte while I figure everything out, but my dream is to work as an event coordinator in the music industry in Nashville, TN. What organizations were you involved in? I was a founding sister of Sigma Alpha Omega, Upsilon Chapter. Our chapter was officially founded in 2017 and I was lucky enough to be apart of such a wonderful organization for almost two years. I served as the Secretary and the Social Chair and both of these positions allowed me to become a better leader and taught me one of the things I am most passionate about, which is event planning. 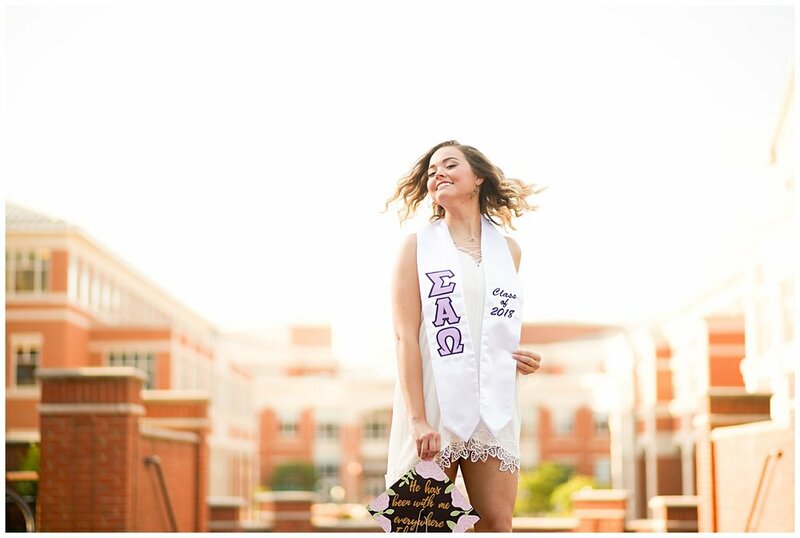 I am so sad to be leaving this sorority and all of the great girls who are in it, but I will forever be grateful for the opportunities it gave me and for the life-long friends it allowed me to make. I think I have two favorite spots! My first favorite spot is the Belk Plaza, where the Belk Tower used to be. When you’re on campus when barely anyone else is, like on a weekend or in the late afternoon, that area is so peaceful to walk through. Not only am I surrounded by all of the buildings I have spent the last four years in, but it always reminds me of how lucky I am to go to such a great school. My second favorite spot on campus is more of a route. For the past two years I have walked back and forth to classes everyday from my apartment, which is across from the front entrance of campus. Along that route I pass the front lake and the front fields. During the spring time, it is such a peaceful and beautiful walk with all of the trees and the sun shining down; it makes the sometimes-treacherous walk, much better. 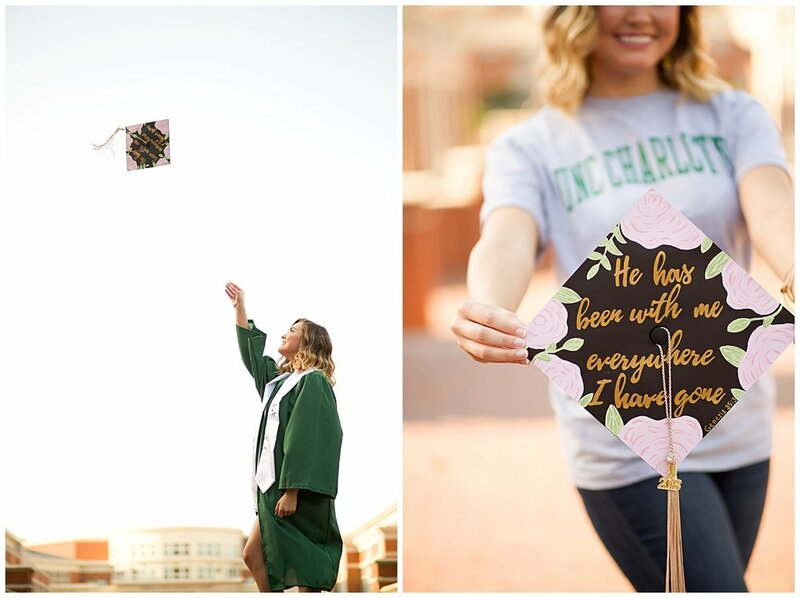 What has been your favorite memory at UNC Charlotte? There is no possible way to answer this! 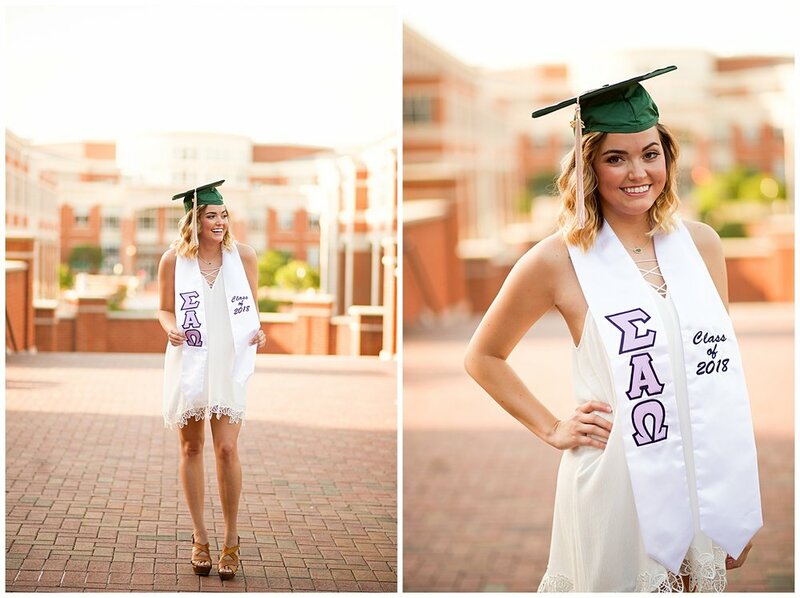 I have so many incredible memories from my time here at UNCC; I don’t believe there is one single significant memory that sticks out. Most of my favorite memories are simple ones, like hanging out with friends at my apartment, going to tailgates and football games, attending sorority and fraternity formals, dressing up for Halloween every year, going to the NC State Fair and to pumpkin patches, delivering bids until 2:00 AM and getting my little the next day, going out uptown and to NODA, and so so so much more! Most of all though, my favorite memories will be meeting some of my absolute best friends and having the greatest group of people around me every step of the way these past four years! Most valuable lesson learned during your college career? This is also a tough one, I have learned so much during my college career. However, I believe the greatest lesson I have learned has been that I am capable of doing things I didn’t think I could. Freshman year I had a tough time adjusting to the new environment I was in; I was away from my parents in a completely new city, and I only knew about two people. It was difficult for me to get used to that. I went home almost every weekend and there were multiple times I thought about transferring schools because I felt like I did not know anyone, and I didn’t fit in. However, I pushed through and ended up making a ton of great friends, and never wanting to leave Charlotte to go home! This, along with other experiences, taught me that I can make the best of any situation and I can do things that, at the time, seem intimidating and nerve-wracking; but that, usually, those things lead to something incredible. I am SO thankful I never transferred. 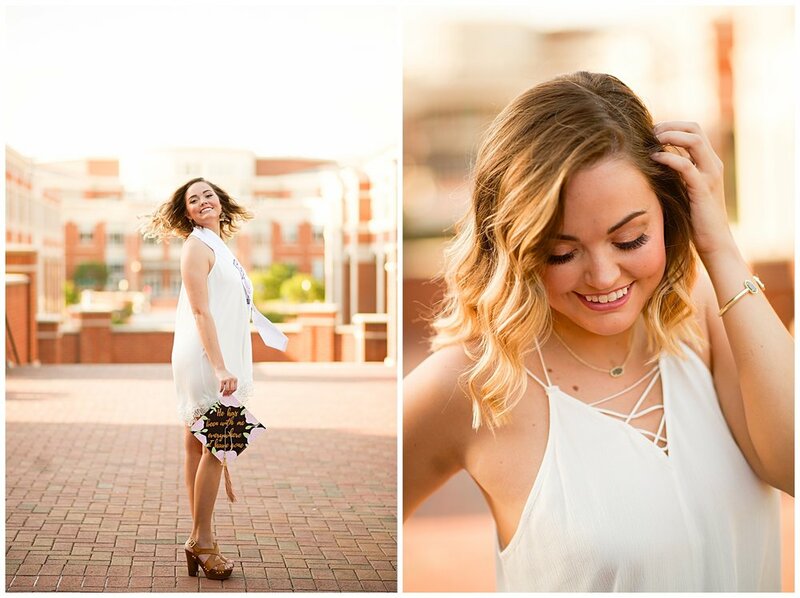 Tori, your session was such a joy! You owned those outfits and just completely glowed in the golden light. You have such a warm personality and smile, you're sure to make anyone's bad day turn right around. All the best to you and your future endeavors!